Healthcare providers have a big opportunity to ensure sustained growth, innovation and viability by successfully partnering with emerging technology companies. A new white paper from analysts at the Chartis Group offers a strategic framework for making the most of such partnerships. Health systems that embrace technology-enabled solutions can discover new modes of patient care delivery, streamline operations and better engage consumers. But in a sector that is still evolving – and often still it can be challenging to even know where to start when developing technology-related partnerships. First, providers must cast a wide net, considering a broad range of partners from startups to more established players. “There is no one right answer,” the authors note. Startups may offer more competitive pricing and flexibility, whereas established technology firms may offer a proven solution with more demands on how the partnership is formulated. Evaluating diverse models for partnering is the second step, and one that may push providers outside their comfort zone. Factors such as exclusivity, duration, financial control, and management must all be taken into account, and Chartis offers a framework to help providers determine what type of relationship they want. 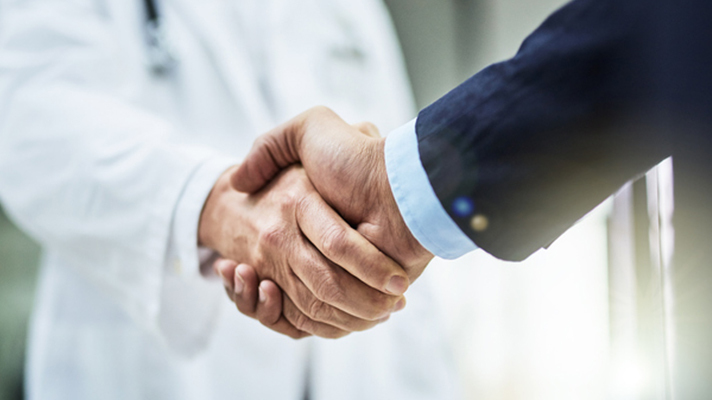 Building successful partnerships with technology companies can help healthcare providers expand and better serve their communities. And for tech companies, the healthcare sector is a good bet: In the first half of 2018 alone, healthcare startups raised more than $15 billion in capital; among Fortune 50 companies, fully 84 percent “play in healthcare, up from 76 percent in 2013,” according to Chartis. The $15 billion figure does not even include “the enormous bets being laced by some of the most established players in the technology sector, such as Apple, Google and Amazon,” said Tom Kiesau, Chartis Director, Digital Health Leader and co-author of the paper, in a statement. And with consumers demanding advanced technology in the healthcare space, it’s clear health providers will increasingly be embarking on digital partnerships. But the fast pace of the tech industry, combined with requirement that providers develop and adapt to new partnership models, presents unique hurdles. “Providers should consider partnerships for developing new high-priority capabilities and at the same time constantly re-evaluate the partnership landscape for new technologies,” said paper co-author Cindy Lee, Chartis Director, Strategy Practice Leader. “Success for providers will hinge on the ability to act quickly and decisively, while making informed decisions on whether to double down or exit new technology initiatives,” she added.